Since 1963, the Choir has been instantly recognisable in its trademark Red Jackets, graced with the Prince of Wales gold feathers above the breast pocket. As you will see from images of Past Events, Overseas Tours, and Forthcoming Events, these Red Jackets and their melodious wearers have graced numerous prestigious venues within UK and overseas. Please browse the images and explore the wonderful locations that the Choir has been privileged to perform in. 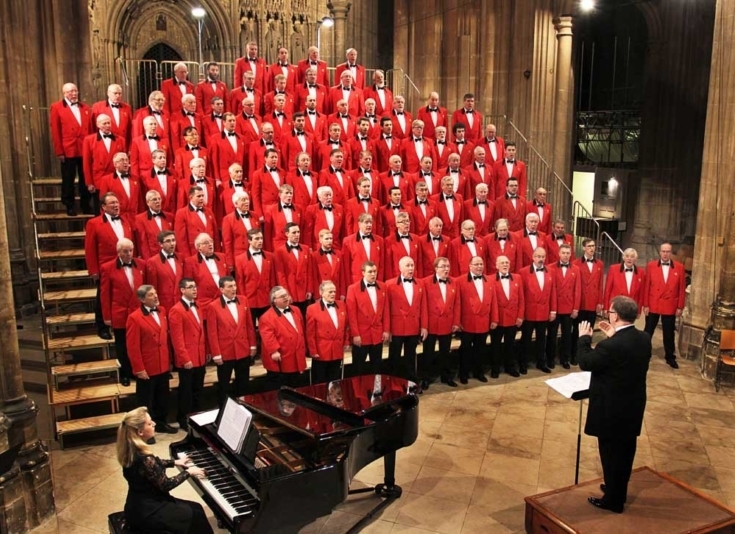 View the Forthcoming Events section to see where next the Choir is performing and maybe an opportunity for you to witness the Red Jackets in action.